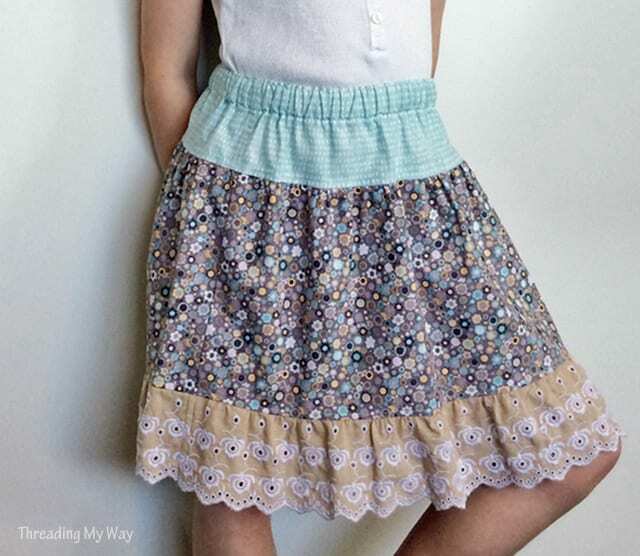 Skirts with an elastic waist are such a practical item of clothing for young girls, and they're easy to sew, too. A few gathers and a little lace will ensure the skirt becomes a well-worn garment. This tutorial will show you how to make a knee length skirt, complete with the all-important twirl factor, suitable for ages two – five. Learn how to sew a zipper to a skirt with this FREE tutorial. I want to unsubcribe sewing4 free.com if i need to pay a fee! Hi Theresa, there’s absolutely nothing to pay on this site or any of the linked projects as far as we know. I have checked this particular project and it is totally free.